Ask anyone who isn’t interested in the dog show world to name a dog show and they will all answer ‘Crufts.’ The glamour and glitz of what is the world’s biggest and greatest dog show is known around the globe. It would surprise many people to know that Crufts, in terms of awards and status, is no different to any other championship dog show held in the United Kingdom. Charles Cruft was a young travelling salesman for a new venture in Holborn, London selling James Spratts ‘Dog Cakes.’ His travels led him to many of the top sporting kennels where he gained knowledge of dogs. Often travelling to Europe where in 1878 French breeders invited him to promote the canine part of the Paris Exhibition.Seeing the lucrative prospects in the dog world back in England he managed the Allied Terrier Club Shows based in Westminster, London. 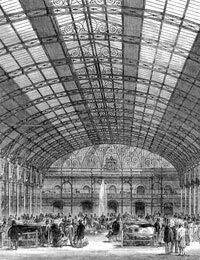 The first dog show to be named as ‘Crufts’ was held at the Royal Agricultural Hall, Islington in 1891, one of many to be held there. At this time people could run dog shows for personal gain and an entrepreneur such as Charles Cruft grasped this opportunity organising dog shows that always made a healthy profit. Charles Cruft died in 1938 and his wife, after running the show herself for several years, sold the show to the Kennel Club in order to perpetuate her husband’s name. The show ran for many years at Olympia until the volume of dogs and visitors deemed it necessary for a move and the show was transferred several miles away to Earls Court. There it remained until 1991 (the centenary of Charles Crufts first show) when the show travelled north to Birmingham National Exhibition Centre (NEC) where it has remained to this day. Many people are not happy with the show moving away from the Capital City and perhaps one day it will return to its roots. With the large Excel Centre now built in London’s Dockland area and the excellent access from road, rail links and London City Airport it may not be too long before Crufts returns home. Crufts is the only dog show where entrants have to qualify in order to enter. Depending on the numerical size of the breed and whether it is allocated challenge certificates, the dog will have to have been placed first to third in a class at another Championship Show during the preceding year. Unlike other dog shows the dog that is declared Best in Show at Crufts attains some form of fame. It will be featured in the news and appear on television programmes for some weeks following the event. It has to be agreed that the award of Best in Show at Crufts does carry with it the fame of the title. The prize itself is not a lot of money; however it can, for a dog, win awards in the form of stud fees. Normally the owner of the winning dog is very selective in who has puppies from this famous parent. Many dogs, after winning best in show at Crufts, retire from the show scene. It cannot be seen for a dog winning at this level to be beaten in normal competition. However, with dogs now being able to travel abroad it is widely expected that the dog would compete on other continents for similar titles. In fact over the past years many high-ranking dogs from overseas attend Crufts in pursuit of the ultimate win. Because of the history and excitement of Crufts it remains the number one dog show in the world. @nuttynan - you can trace someone through the National Archives, link here. I hope this helps.